The Operation Christmas Child Leadership Team consists of 18 people from Immanuel who are fearlessly led by Susan Schmidt and Connie Pfeifer. They meet year-round to work on fundraising, acquiring new donations, watching for sales, planning the packing party and running all of the Prep events throughout the year. Immanuel has been involved with OCC now for almost 20 years. Most recently, they’ve been hosting packing parties instead of everyone just doing boxes on their own. Their goal for this year is 5,013 shoe box gifts The team has given these boxes the nickname, GOSPEL OPPORTUNITIES, since the shoe boxes are a tool to presenting the Gospel to the children. Inventory has been collected all year and is organized and stored in the church basement. 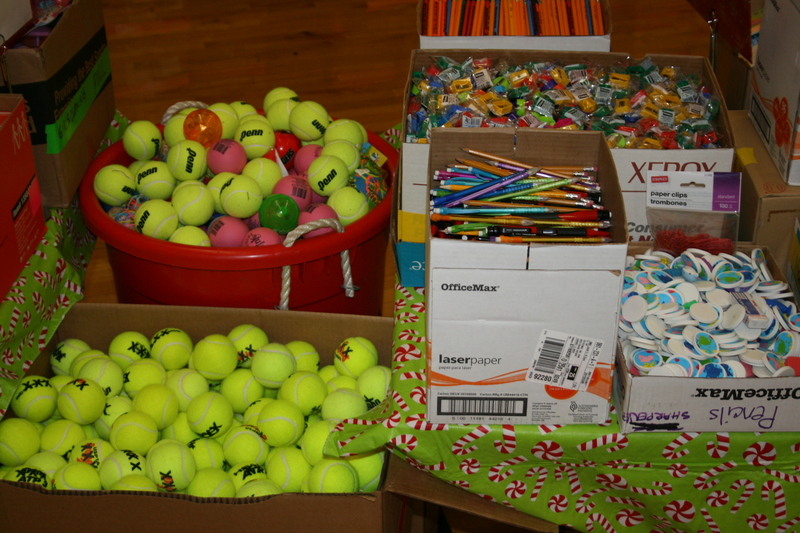 The team tries their best to include “staples” in each box – which is toothbrush, toothpaste, bar soap, crayons (or markers or colored pencils), notebook, pens, pencils, sharpener, candy, stuffed animal and of course, a toy. They also encourage members to write a letter or put a picture in the box. OCC encourages a $7 per box donation to cover shipping the boxes to the children and for the Gospel Booklet that accompanies the shoe box gift. This year they are hosting benefit nights at Wendy’s, had a garage sale, and used M&M tubes as a tool to have people save quarters for shipping. Each tube filled is $14 and will cover shipping for 2 shoe boxes. People can donate items or money for us to shop. People can always donate to shipping! The packing party is a Community Event and members are encouraged to invite others along. They will have special invites available on 10/20/13. Wrapping Party – October 19 from 9-Noon in Surf City. We will be wrapping empty shoe boxes, sharpening pencils, writing letters and a few other jobs to prepare for the big packing party. Final Prep Party will be on Saturday, November 9 from 9-1 pm. 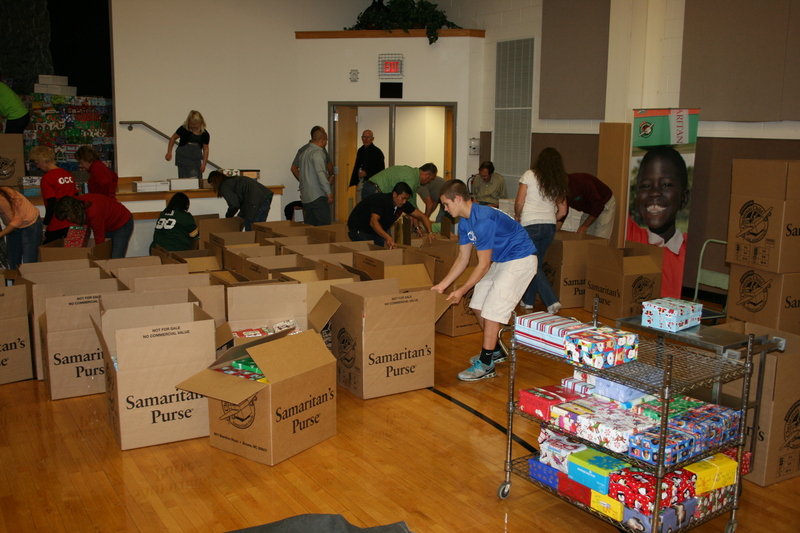 Packing Party – Saturday, November 16 from 9-4. No lunch-type food is available, only holiday treats by donation. Overall Global goal is 9+ million. 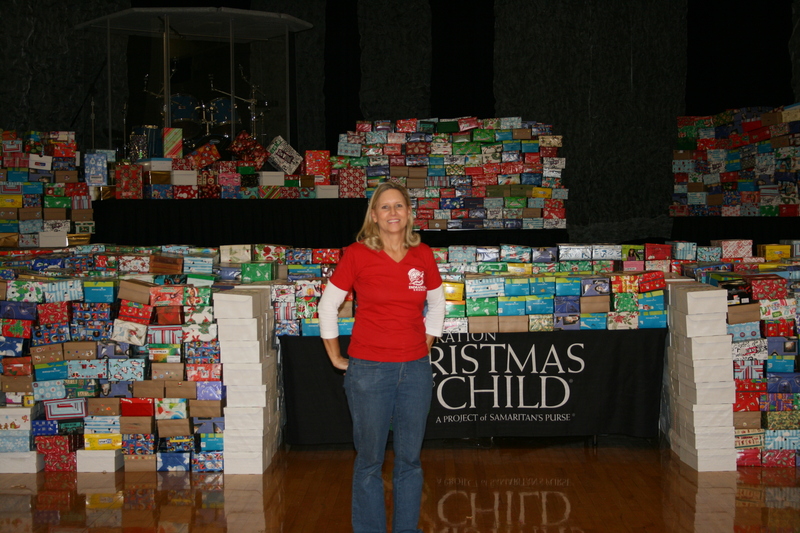 Last year the organization hit the milestone of collecting/sending over 100 million shoe box gifts since 1993. Thank you for your generosity to our one-fund, Accelerate. Because of your generosity, we are able to share God’s love with those who have never heard! Recently we received an urgent prayer request from our missionaries Tom and Michele O’Brien about airstrikes that were happening in Zamboanga City in the Philippines. The military had been launching airstrikes to flush out rebels of the Nur Misuari faction of the Moro National Liberation Front (MNNLF) in the embattled zone of the city. Thankfully soldiers were able to rescue 26 civilian hostages that were being used as human shield in the city. 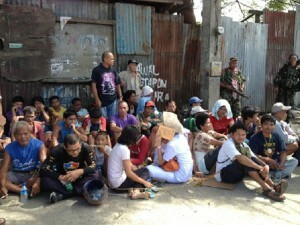 The rescued hostages included men, women and children are recovering. We also received news that one of their coworkers in the Philippines, Pastor David, was freed over the weekend. he was held for eight days but is now back with his family. Please continue to pray for the other hostages, the safety of the city and for those that are still there ministering amoung the Tausug Muslims. Many pastors and church planters were challenged to plant churches that transform communities during a retreat in Tenancingo (June 2013) organized by Pastor Richarte. This retreat was one answer to our prayers that a vision to reach and transform our region be led by Mexican pastors and church planters. Remond and his wife, Conchi, (along with their two daughters) are potential church planters with passion and vision to plant churches with us in this region. 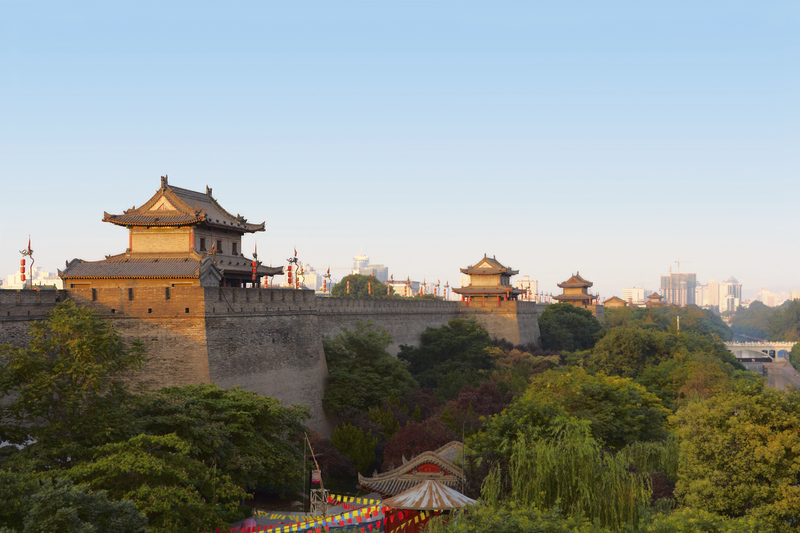 They feel called to relocate to one of the 70 unreached cities. Please pray for them and us as we visit and pray over various cities together, asking God for his direction. Please keep praying that God would raise up church planters and City of Refuge workers for each abandoned city. Thank you for your continued love, support and prayers for our missionaries as they spread God’s word to those who need it most! Over the summer months, the Immanuel Church family has been a vital partner with those individuals who shared the Good News of Jesus in San Diego, California as well as China and Haiti. We celebrate the individuals who stepped out of their comfort zones in obedience, to be experience different cultures & climates to be Jesus and how God uses each of His children to bring others into fellowship. The IMPACT team (high school students and leaders) had the opportunity to partner with YouthWorks to serve children, elderly, and others in the San Diego communities. Our students served at a food bank by putting together & handing out food parcels as spending time with individuals at an adult daycare site to be Jesus to those they encountered. The Immanuel team once again partnered with Bright Hope in Pignon, Haiti this summer. Spending time with individuals was the way this team ministered to the Haitians: hearing the stories of those blessed through the microloan program, playing games with the children attending VBS, serving a meal to the Haut Savanette students. THANK YOU, Immanuel Church, for your faithful support to reach the world with the Good News of Christ! It is only possible through your generous giving to Accelerate, our one fund, and prayerful support that individuals, families, students and adults may go to help others know Christ and to grow to be like Him. It was a great day. The team did VBS for the last day today. The church in Colladere had over 200 children and our team has a special affection for this group of kids. We have found that the majority of families go without food several times a week. A highlight each day has been serving lunch at both churches. 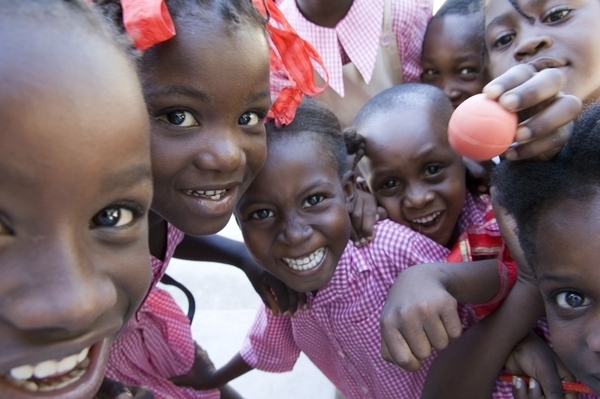 Plates of rice and beans – we see children helping each other and sharing spoons. A highlight of VBS at the church in Haut Savanette was at the end when the pastor called his leaders together, they gathered around our team and prayed for us and sang. This is the church that Immanuel has been supporting for two years through Bright Hope. We see huge changes in this church since last summer. They are thriving and praise God for the partnership! The team has been amazing! Each person has risen above themselves and SHINED for Christ by loving the people God puts in front of them. Our men worked 3 days on a shipping container, being turned into a school. The heat inside the container was 120 degrees at times! They trained 6 Haitian men to do dry walling and bonded as they sang hymns while they worked! Thank you for praying! Every prayer is being answered! Everyone is healthy and no one has gotten sick – Praise God! It has been a busy few days. Over the weekend the team spent time to talk and pray with some micro-loan families who sell everything from used clothing to gasoline. VBS has been a huge success seeing about 100 kids at the site in Koledar in the morning and about 200 kids in Haute Savanette in the afternoon. Were able to feed to group yesterday of 199. Last night the team went to Pastor Jephthe’s church and saw choirs from local youth groups sing. The power kept going out throughout the event, but the kids never stopped singing praises to God – it was beautiful. Days are spent with devotions as a team in the morning and then serving throughout the day. Music and fellowship in the evening. Prayers are needed for tomorrow as they finish up the vacation bible school programming, safe travels home and rest for the team as they debrief and see what God has in store for them.